The students of The York School are as diverse and unique as the city they call home. Within the walls of their co-ed independent school, the community of young learners embraces new challenges that will take them beyond the classroom. 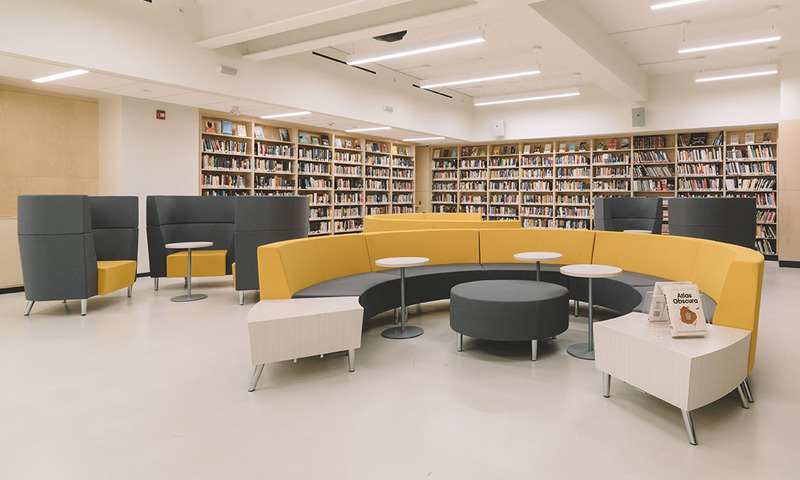 In order to create an environment that would help realize the potential of its students, The York School embarked on a significant renovation of its Middle and Senior School campus. The project involved looking beyond traditional templates of learning spaces. Instead, they imagined a contemporary place where students and staff can connect however and wherever they want. Sirena seating offers students a place to rest and study in multipurpose hallway spaces. The result is a comfortable environment that supports the small community within the independent school. 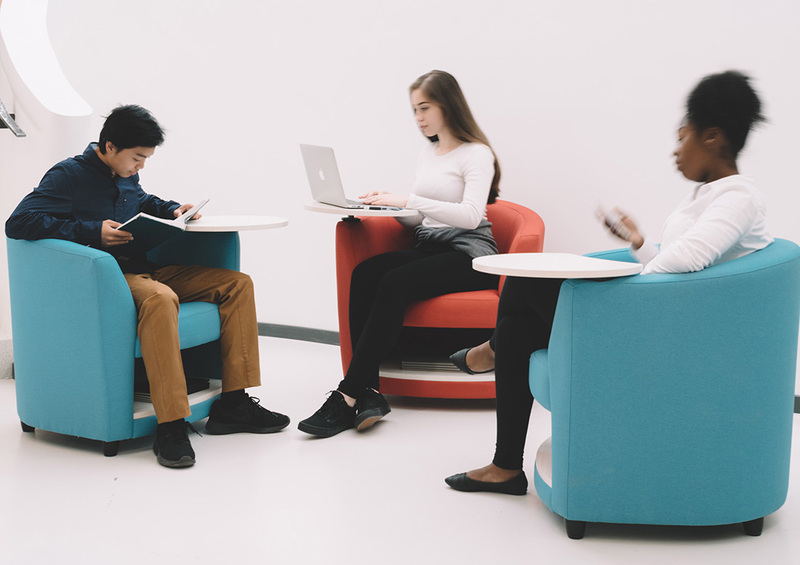 In common areas, natural light fills the spaces where students chat, read and work together (power outlets are available to ensure the tech-savvy learners have everything they need). The building’s contemporary design features spacious classrooms, a gymnasium and specialized areas for music and art. The York School library with River seating. Performance, of course, is just as important as aesthetics. 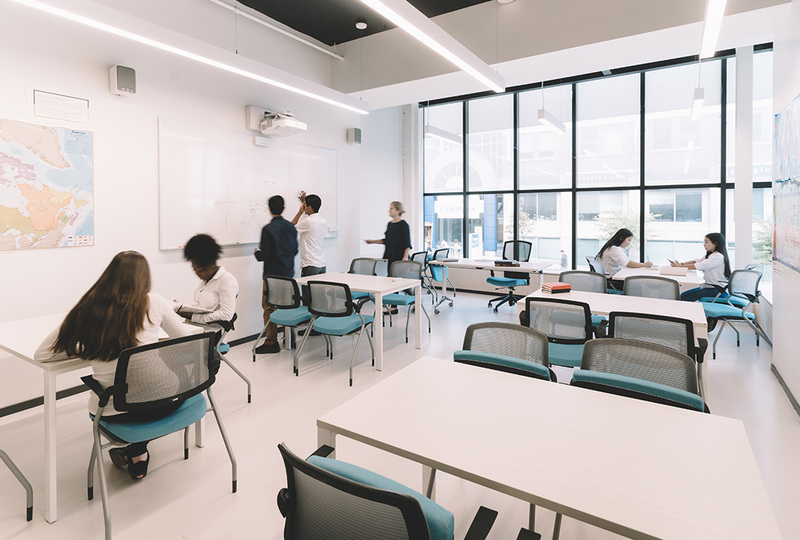 The furniture not only supports the rigorous demands of a school environment but also allows teachers the freedom to configure their classrooms as needed. “In today’s learning environment, we are no longer limited to just a chair and a desk,” Johns says. 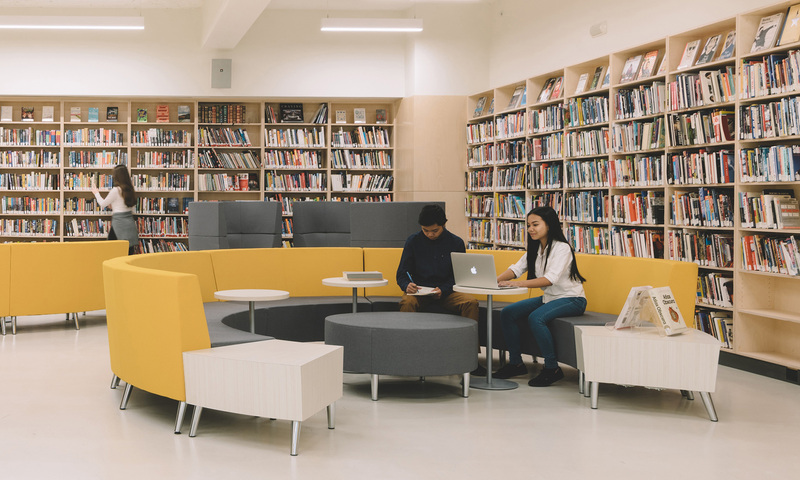 “We need to accommodate a much broader range of needs in terms of student learning styles.” With newly upgraded features, the school saw a boost in enrollment quite soon after the renovation was complete. Flexible classroom configurations with Spritz seating. In the classrooms, teachers and students can organize their spaces to facilitate independent or collaborative work — or any combination in between. The mobile furniture, including stackable chairs and flip-top tables, provide convenience and flexibility. Ergonomic chairs, including Global’s Spritz, respond to the movements of each user. But The York School knows that learning continues to take place beyond the classroom. Every day, students socialize and work in common areas; a lunchroom in the day quickly turns into an event space at night using mobile furniture. Every space offers students and faculty the room to grow their tight-knit community.